Rebecca Krouse is the Program Director for the Hearing Instrument Science program at Ozarks Technical Community College. The program is blended, allowing Rebecca the opportunity to implement best practice in distance education while maintaining the face-to-face contact many students need. She has been with the HIS program since 2013; providing instructional design support, then as a faculty member teaching online courses and hands-on skills. She supervises students in the on-site hearing clinic. The Hearing Instrument Science program is the only HIS program in the state of Missouri, and the only online HIS degree program in the United States. As program enrollment starts to come more and more from out-of-state students, Rebecca hopes to move this program into the national spotlight as a gold standard for hearing instrument specialist education. Before joining the HIS program, Rebecca worked in the OTC Online office as an instructional development assistant. This provided extensive background into online course design and delivery best practice. Rebecca is currently licensed as a Hearing Instrument Specialist in the state of Missouri. She is Board Certified by NBC-HIS and a Registered Supervisor in the state of Missouri. Her educational background includes a Bachelor of Science in Educational Technology from Drury University and a Master of Science in Education with an emphasis in Online Teaching and Learning from California State University. 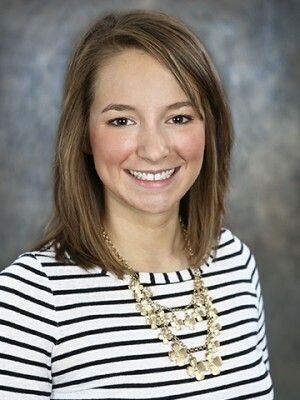 She is a member of International Hearing Society, Missouri Hearing Society, and Missouri Community College Association.